Viola Day 2017: The Next Chapter…. 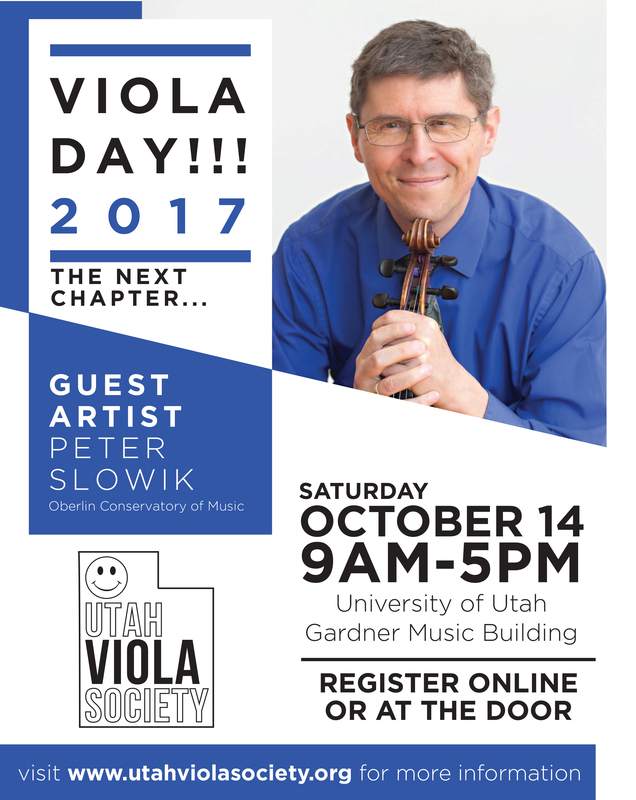 We hope to see you all this Saturday at Viola Day 2017! Last year, we celebrated “Tradition and Discovery” by learning about the legacy of William Primrose and David Dalton, and we hosted guest artist Patricia McCarty for a virtuosic recital of important, yet seldom-heard works. This year, we turn toward “The Next Chapter”, and welcome Peter Slowik from the Oberlin Conservatory of Music. Professor Slowik is a master educator, and has devoted himself energetically and tirelessly to mentoring hundreds of young violists, and many other young musicians, throughout his long teaching career. He has also served as President of the American Viola Society, and the Artistic Director of the Credo Festival, which develops the musical potential of students while also engaging in community service. At its root, education is about securing a better future –for our art of music-making, for the lives and careers of our students, and to contribute in our own humble way toward a more open and communicative society. This is also the mission of the Utah Viola Society. If we are organized, and if we make the time and effort to maintain a self-supportive community, then we will survive and thrive in the 21st century. This is about writing the next chapter. The art of viola-making is also entering a new chapter: we’re excited once again to feature local luthiers, in the hope that we will introduce violists to their next instrument. Perhaps you can break new ground with your scales – Professor Slowik will begin the day by leading a scale play-in, with a focus on revitalizing your routine. Bring your violas – no better way to start Viola Day than by all of us warming up together! Finally, we will end the day together as an ensemble, with Aaron Copland’s great vision for the future, Fanfare for the Common Man, arranged for viola orchestra. All are welcome and encouraged to be part of this performance! P.S. Please note that Professor Slowik will be giving several classes at Utah State University on Friday, these are free and open to the public! 2:00 Meet Your Maker: Try out all the violas! 4:00 Viola Orchestra – everybody join in!